BTW you have a price in my blog. Maybe you already got it, but I wanted to give it to you :) You can use the translator to translate the blog. Is it me or are you wearing clear contacts? Annie you are beautiful with any look. Are you gonna tell us what you ate today? Looking forward to it. what foundation are you wearing here? hey Annie! beautiful look, as always! And I LOOOOVE the nail polish, what and where is it from? 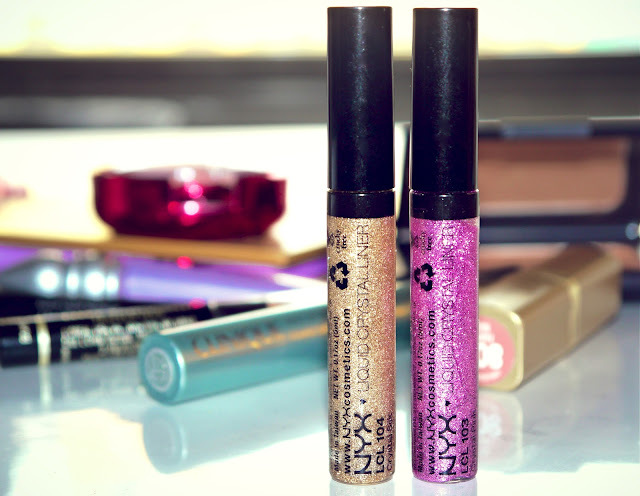 I am so surprised these are NYX glitter liners! I am totally getting some for my wedding! Isn't NYX sold at drugstores? Such a lovely look! It's really beautiful !! Love it! I really like this tutorial. I think the colors look amazing on your new skintone! I'm looking forward to some new Haul-vids and maybe you could film a Hits and Misses vid? Loved this video, just wondering where you got your top from it is gorgeous?? I have a question. Do you wear contact lenses? Annie please... What camera do you use to film your videos??? Please do a question of the day post about it! Hello, are you able to tell me what shade of NARS bronzer you use to contour your face????? Thanks.